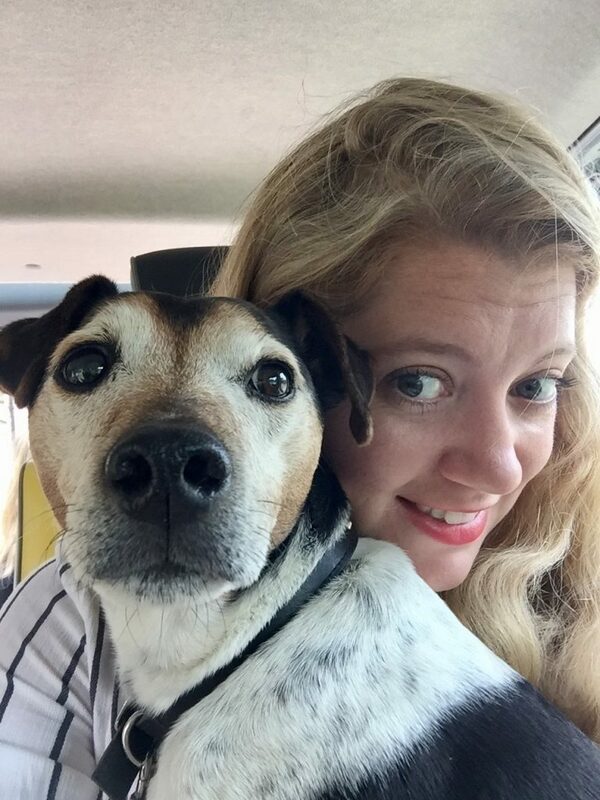 Hey, Baxter the Legend here, taking over Jen’s blog to tell you about the BEST press trip I have ever been on! Ok so it was my first press trip, but still… I had so much fun! 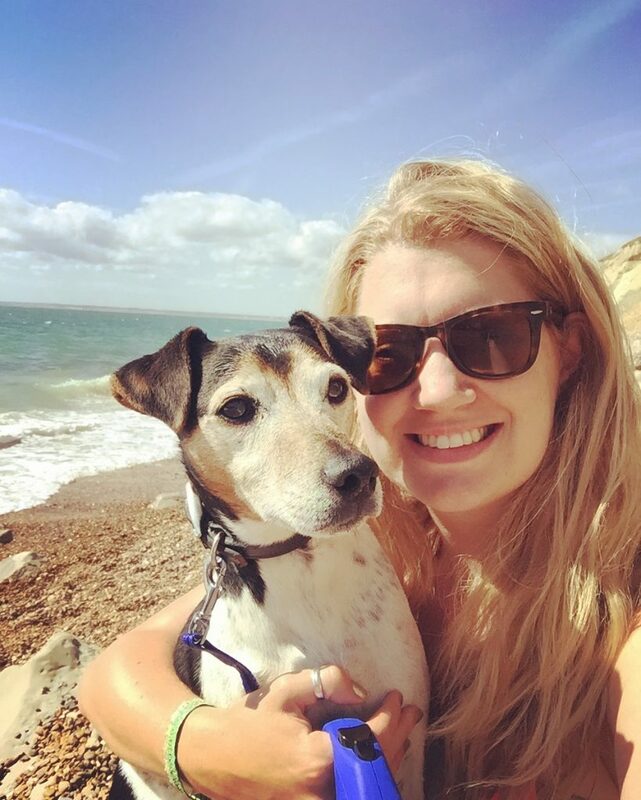 When Jen received the email inviting her and a canine friend on a press trip to the Isle of Wight with Red Funnel Ferries we couldn’t believe our luck. We all know Jen is a big travel obsessive, and well, newsflash(!) I am too. I have been known to get myself in a little trouble with my adventuring, often disappearing off for a few days at a time, hiding from all the humans until all I want is a tummy rub and some home ‘cooked’ food. So when it suddenly became my job to travel with my favourite (and only) big sister Jen I was beside myself with excitement. 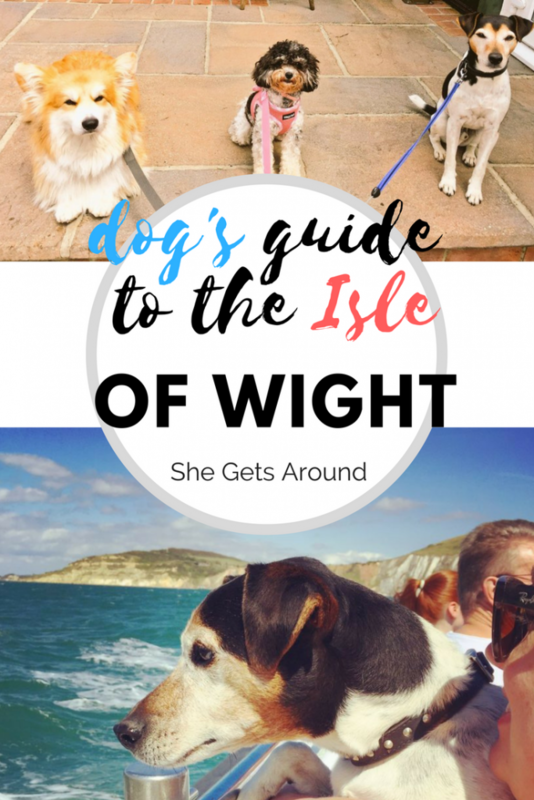 We travelled with three other dogs and their owners to the Isle of Woof (Wight) with Red Funnel Ferries. 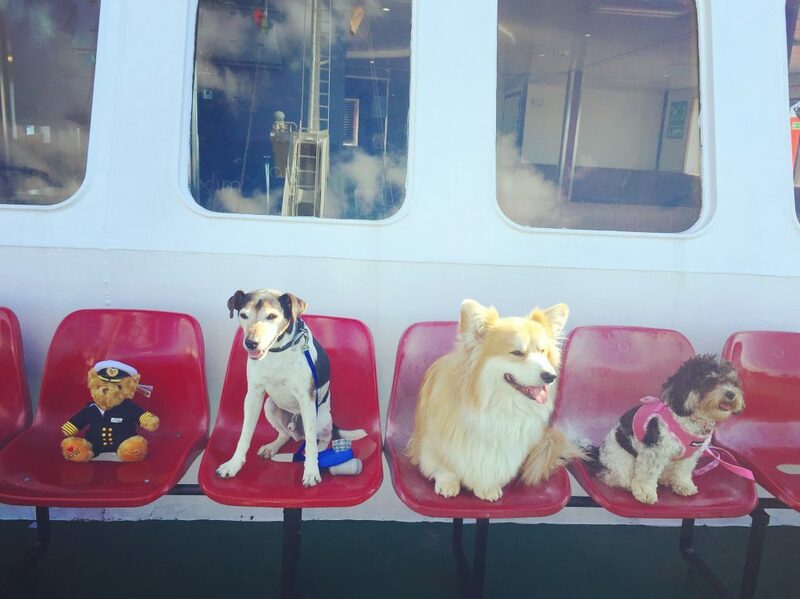 They are a super dog friendly ferry company, who even have a dog deck, complete with water bowls and snacks for sale. They gave us each a special goody bag on arrival too with lots of toys! Toys don’t tend to last long with me, unless chewing them to pieces in 5 minutes flat is the aim of the game?! hehe. The ferry from Southampton to East Cowes is so easy and only takes about an hour. 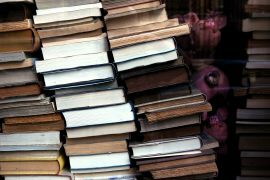 They have a free shuttle bus from the train station too, so get your ticket in advance and you get the shuttle thrown in too. Jen fitted in some time for chips and beans (a few chips for me!) on the ferry and said the cafe did some nice human cakes too. 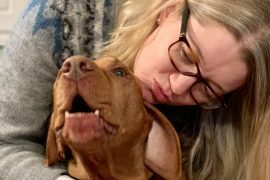 We had two nights on the Isle of Woof and the whole itinerary was focused on us! I mean dreamy or what?! 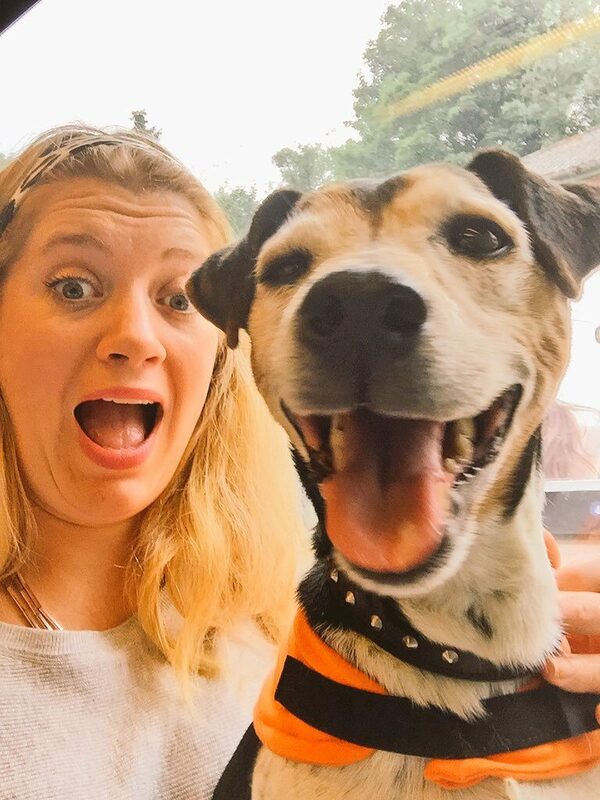 A weekend for me, the mutt of the family! In interests of fairness though I thought I would showcase both the human benefits and the doggy benefits of a trip to the Isle of Woof. 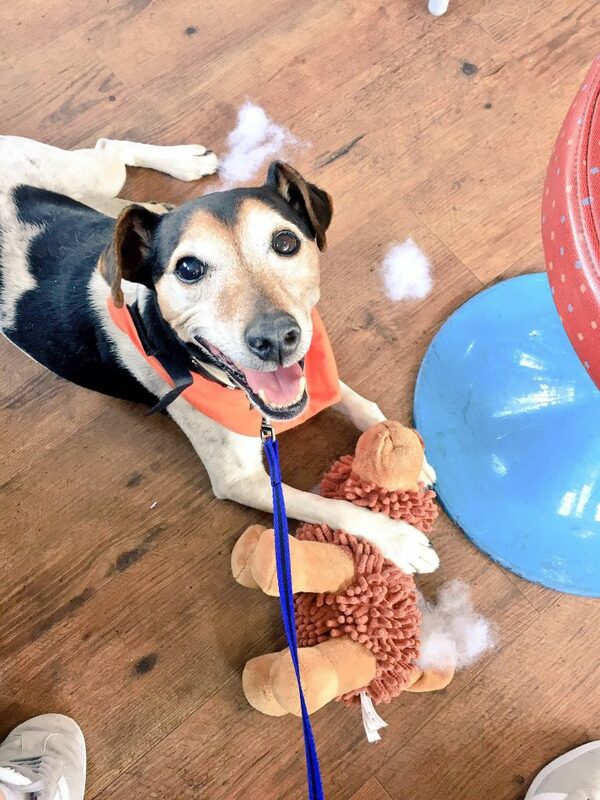 So here are the best places to eat, sleep and visit for you and your dog on the Isle of Woof. Baxter: We were so lucky with our accommodation! 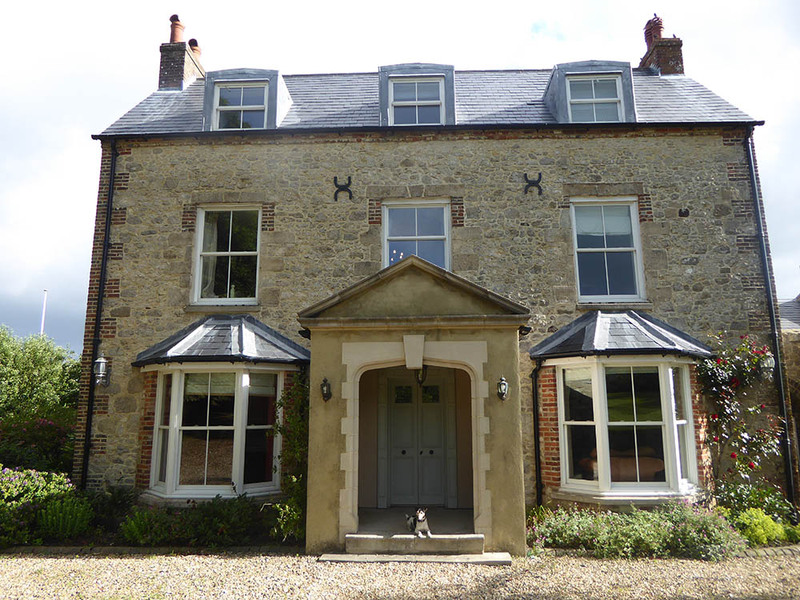 We got a huge 12 bed house for 8 of us (4 humans and 4 dogs), complete with front and back gardens for us dogs to explore and play, a huge kitchen and a few cosy sofas we were even allowed on! The house was huge and so beautifully decorated I was nervous of my muddy paws messing the places up. Luckily it wasn’t raining while we were there so muddy paws were to a minimum and there was a porch for Jen to clean me off anyway. Jen: East Afton Farmhouse was amazing! Such a gorgeous house with each room uniquely decorated to bring out the original features of this house dating back from the 1700s. 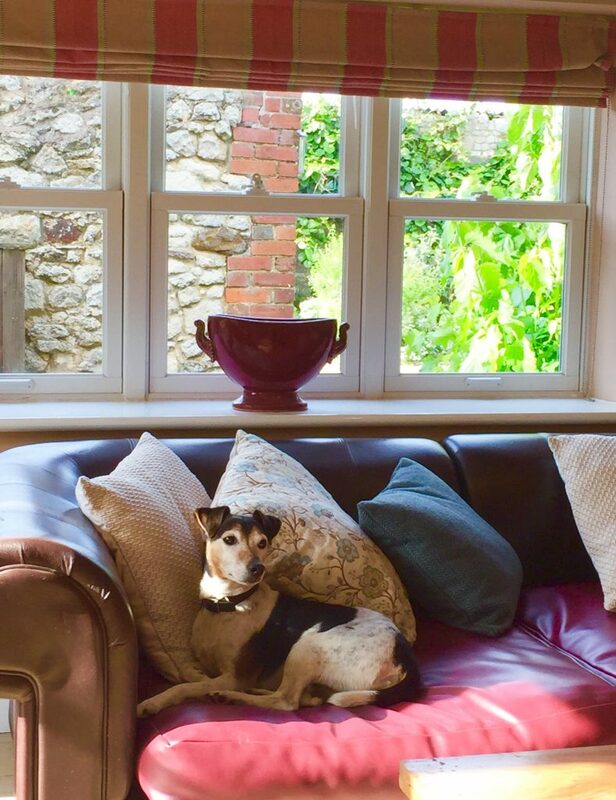 The owners lovingly renovated it to a very high standard with all the modern amenities you would need, such as a cinema room (everyone needs a cinema room) and a hot tub on the roof terrace! They also own Tom’s Eco Lodge which has a variety of different glamping options, from cabins to tents to modulogs. I already want to return to try out some of their other accommodation. They think of all the little details and are clearly passionate about what they do. Baxter: Jen fed me before we headed here for her dinner so I didn’t get to try much more than the biscuits they had available to us. It was lovely to be allowed to lie by her feet as she ate though and I was so tired from all the travelling and walking here from the Farmhouse (only about 20 minutes walk but I’m old these days) that I slept throughout dinner. Jen did save me a mouthful of her steak though and that was super delicious. Jen: Absolutely loved the decor and the food at Cow Co! So glad Baxter behaved himself which meant I could eat my delicious steak in peace. 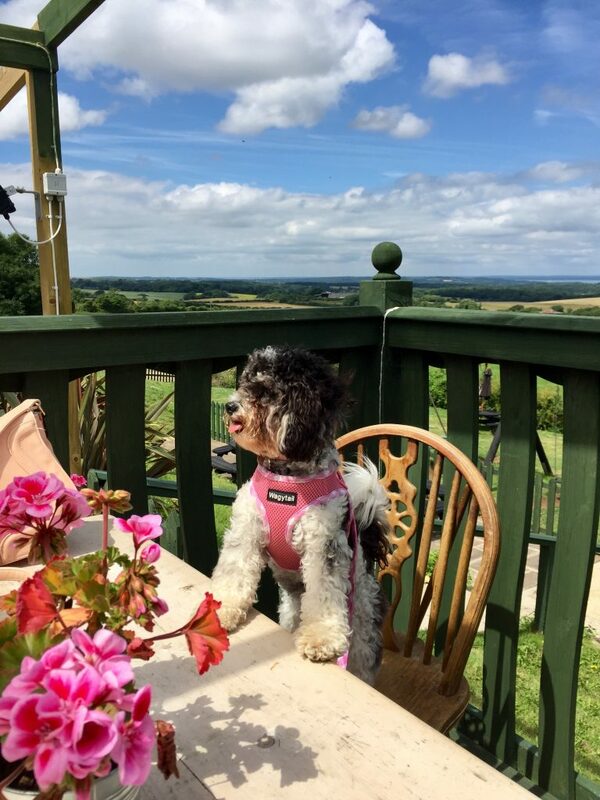 The restaurant is surrounded by stunning views Tennyson Down, The Solent and The New Forest. It is in quite a secluded spot but well worth the visit for the steak alone! 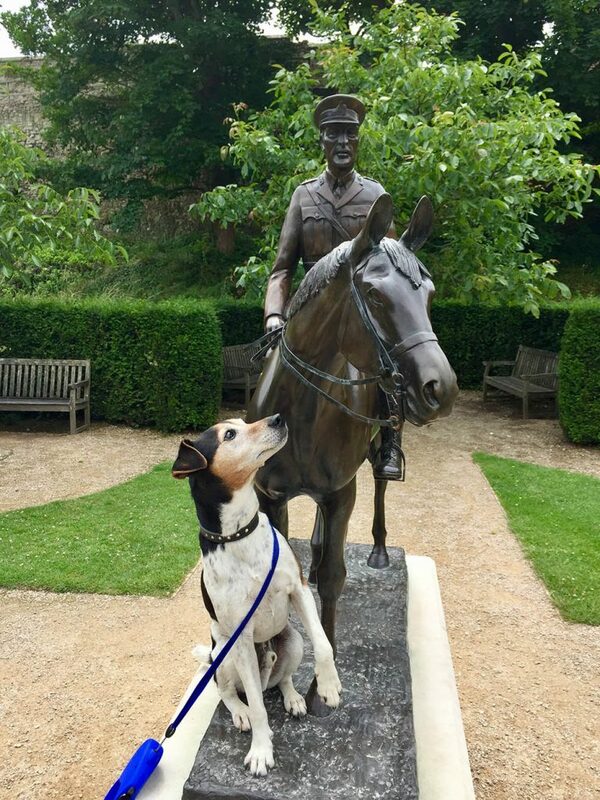 Baxter: They provided us with a bowl of dog biscuits on arrival so I can’t complain at all! 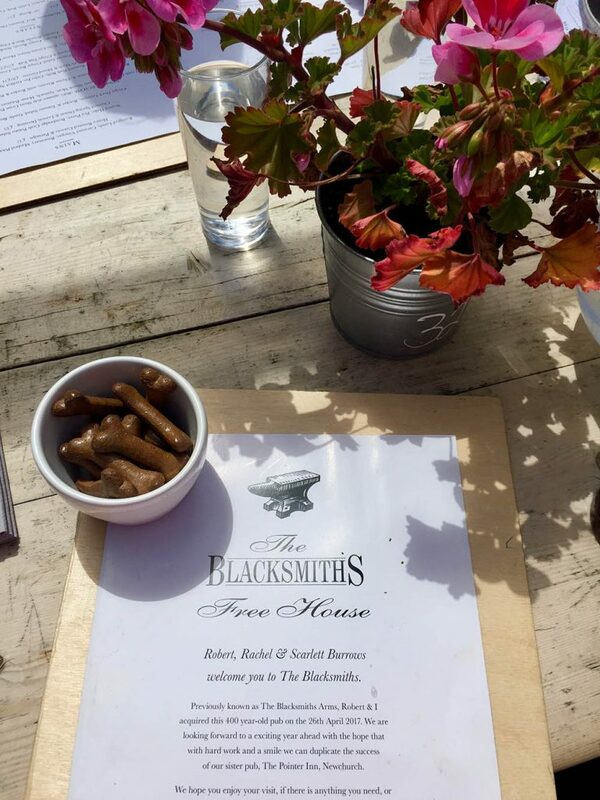 Jen: The Blacksmith Arms has been newly renovated and serves a selection of fresh fish and tasty pie, alongside homemade brownies and local ales. The views are again spectacular (seems to be the norm on the Isle of Wight) and the staff were extra friendly and helpful. 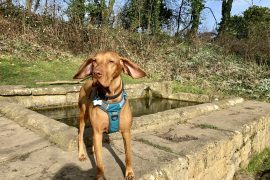 Baxter: Loved the walk along the seafront to get here. The friendly waitress welcomed us with dog biscuits so we were all happy. Jen: If you’re after a traditional fish and chip seaside dinner then The Waterfront is the place. 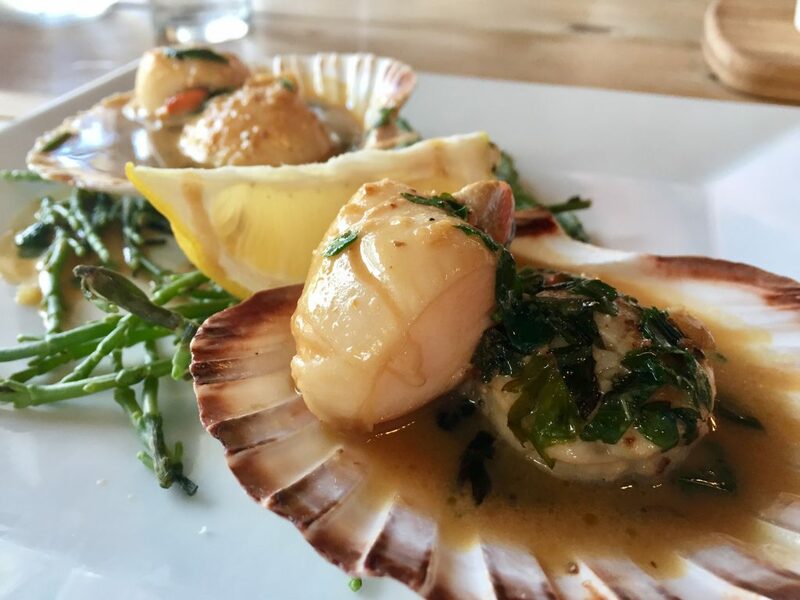 No frills, tasty food is the order of the day here, with a huge menu filled with fresh fish and specials of the day. The portions are huge, we definitely went overboard with our ordering, though somehow still managed to fit it all in! 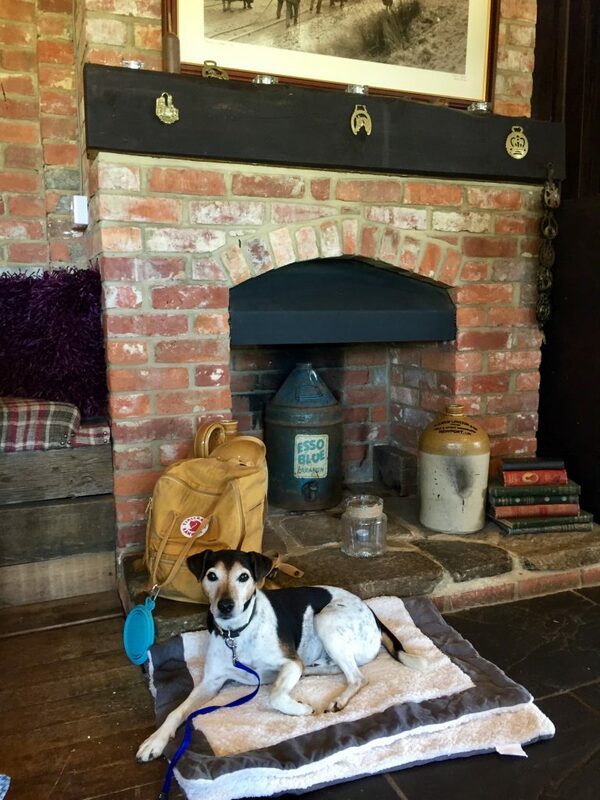 Baxter: After eating my way through more free dog biscuits by the open fire I headed outside to bathe in the sunshine whilst listening to the live guitarist serenading everyone as they sipped their beer. Not a bad place at all! 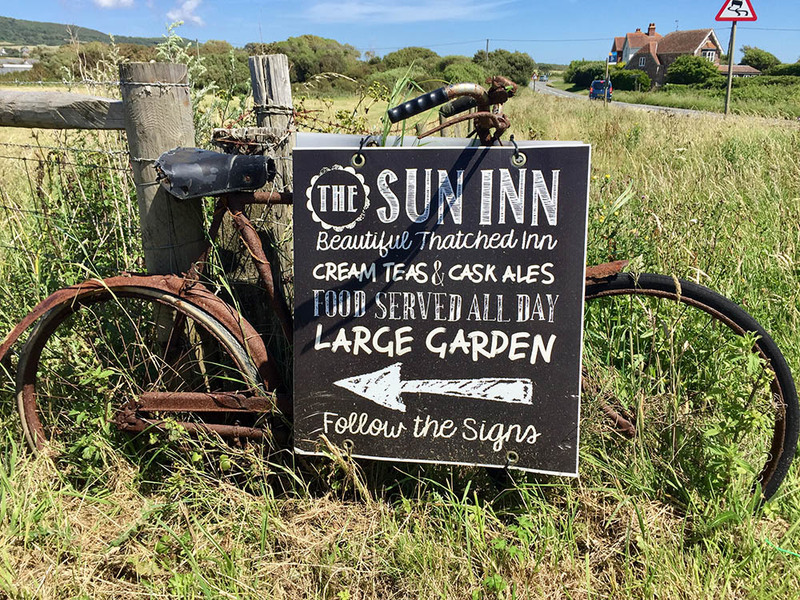 Jen: Loved the live music and huge choice of food at The Sun Inn. Opted for a hearty sausage and mash, followed by a brownie that I somehow managed to squeeze in! Cute little village with yet more incredible views surrounding it. Baxter: OK so now this place was by far my favourite eatery of the weekend. 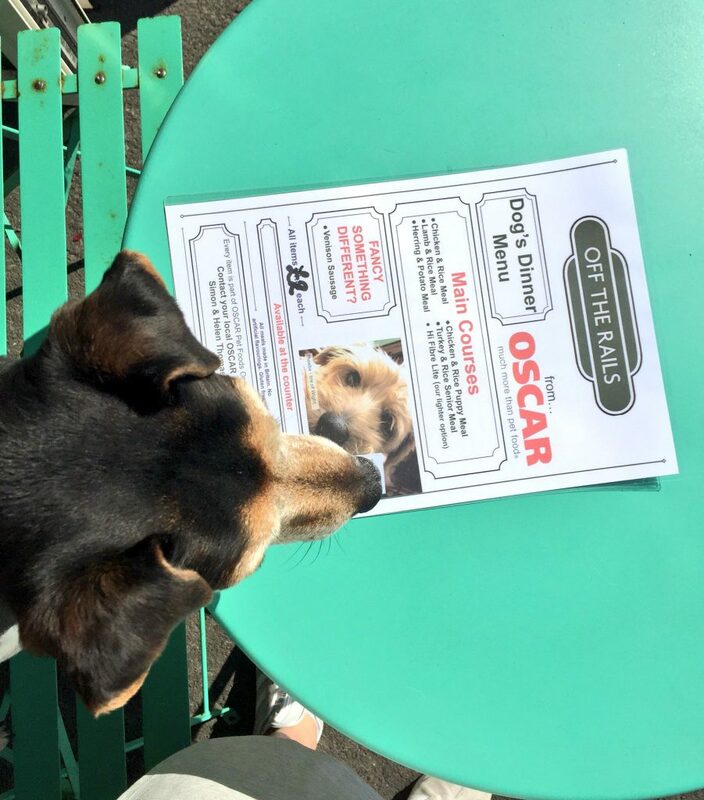 We didn’t just get dog biscuits here, we had a full on dog menu! 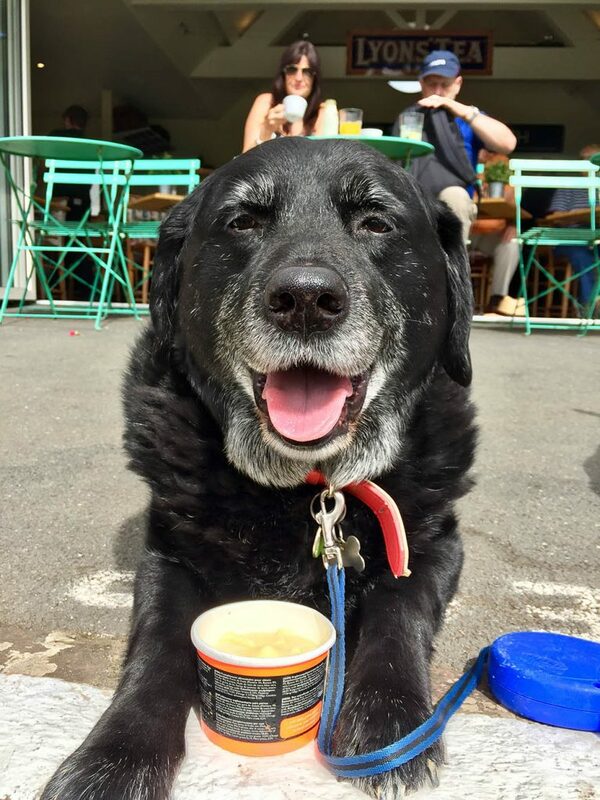 From main courses to special doggy ice cream. We were all in absolute heaven. Jen chose a strawberry and apple tub of ice-cream for me and it was delicious. Jen: They have beautifully restored the Old Yarmouth Train Station to provide a unique setting for brunch or lunch. The selection of human food is even better than the dog menu and I struggled to choose between the full English and the blueberry pancakes. I could have quite happily sat here all day working my through the menu. 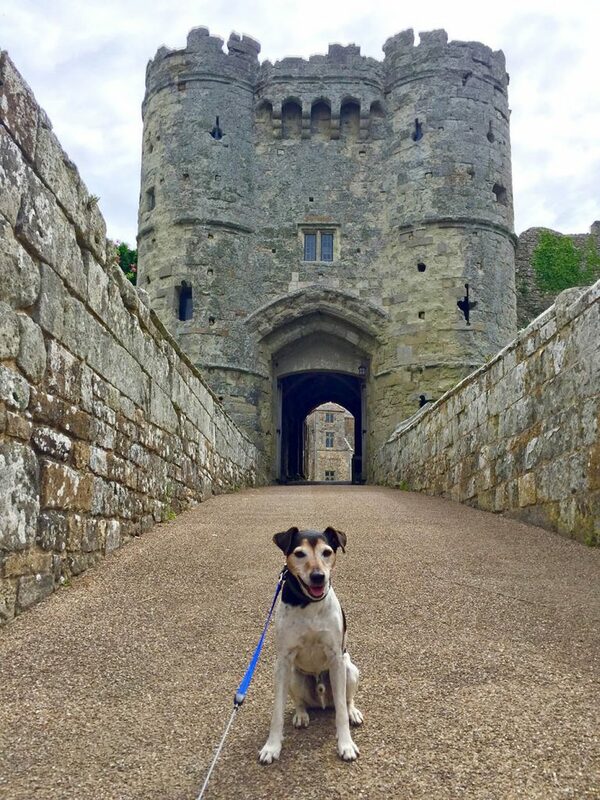 Baxter: Jen and the girls got a bit carried away taking photos of us all next to canons and on castle steps, but despite the constant need to pose in front of the camera for Jen’s perfect shot (I’m a natural in case you hadn’t noticed) I really enjoyed this castle. Even had a chat with one of their donkeys, though got told off for that. Whoops… I mean woof! Jen: Carisbrooke Castle is believed to have been around since 1066 and has been preserved to much of its former glory by English Heritage. You can walk the whole way around the castle walls or enjoy a coffee and cake in their castle tearoom. 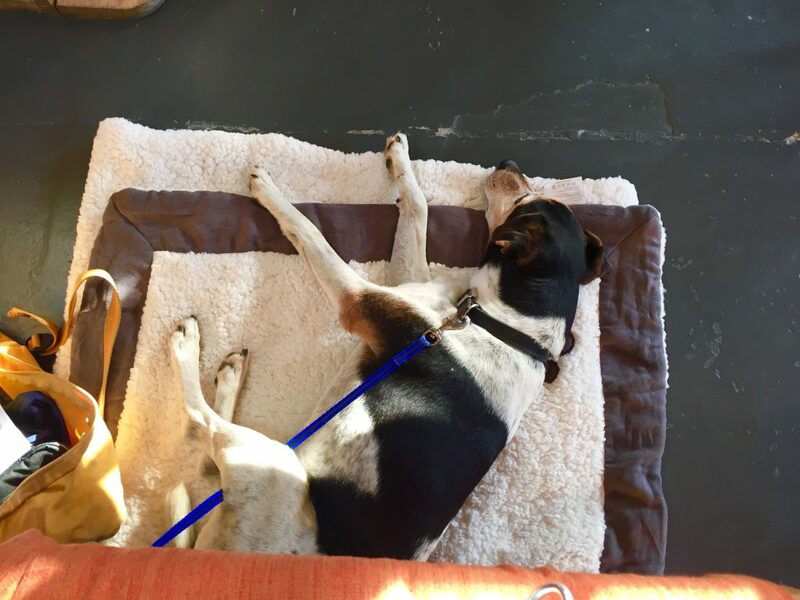 Baxter: This place was awesome! It was like it was made for something my size, well actually no, I was like a giant and I loved it. 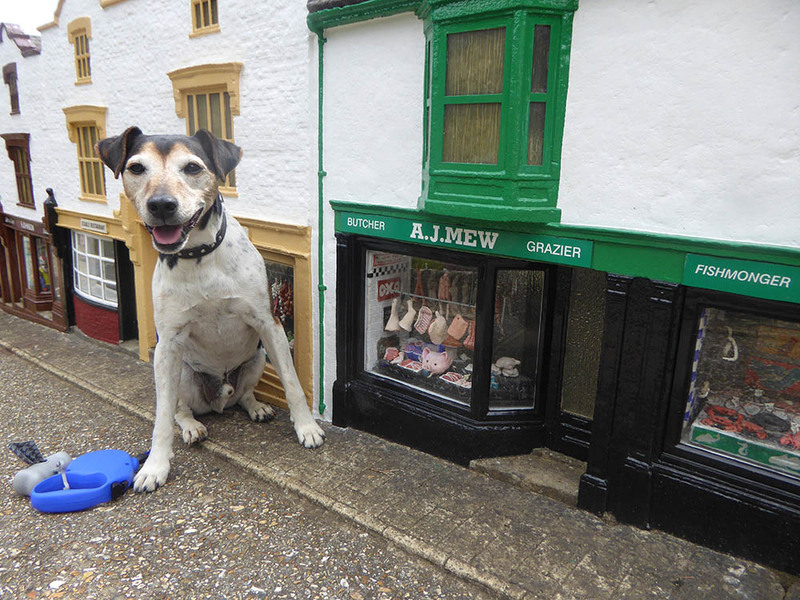 A whole village in miniature, from the doll sized butchers (personally I prefer full sized butchers) to mini working trains and detailed churches it was such a cool place to visit. Jen had me posing lots, but I think the pictures came out pretty well, don’t ya think? Jen: I couldn’t get enough photos at the Model Village. The whole village has been run by the same family since they opened in 1952 and every minute detail is maintained from the miniature signs, down to the small house plants and cricket pitch. 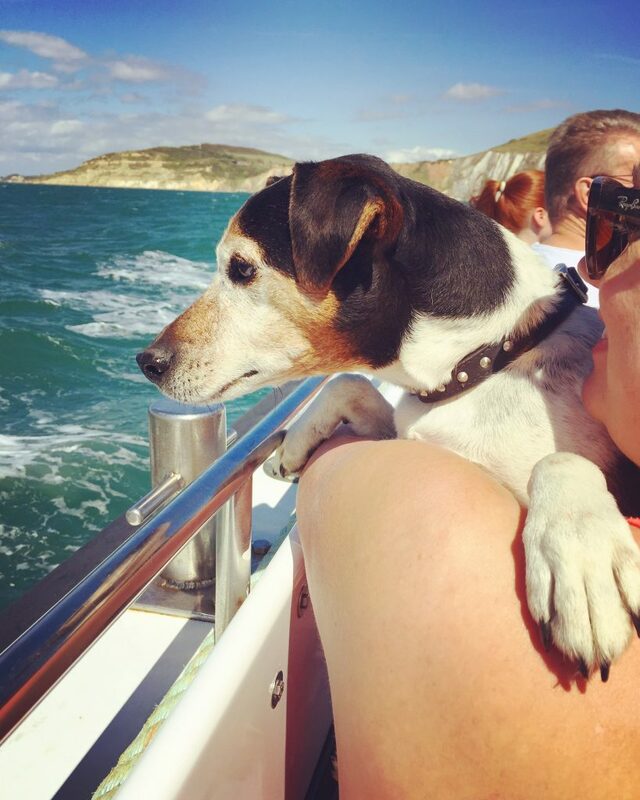 Baxter: I’d never been on a boat until this weekend and here I was on my second boat in under 24 hours. Jen let me sit on her lap so I could let the wind blow past my ears as I admired the view of the needles. I was tempted to jump in the sea a couple of times but realised getting back into the boat might have been a bit tricky. Really recommend this for all dogs and humans. 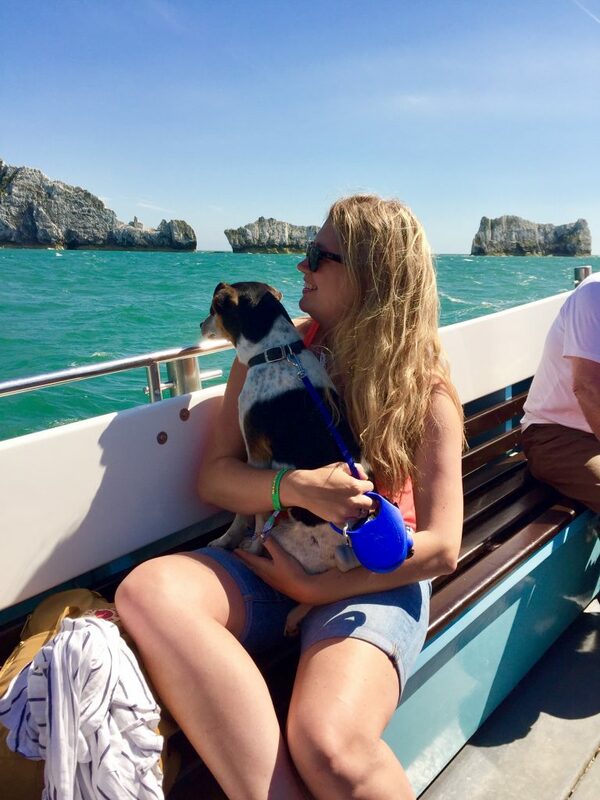 Jen: Really fun boat ride and if you’re without a dog then you could get a chair lift down to the beach too. 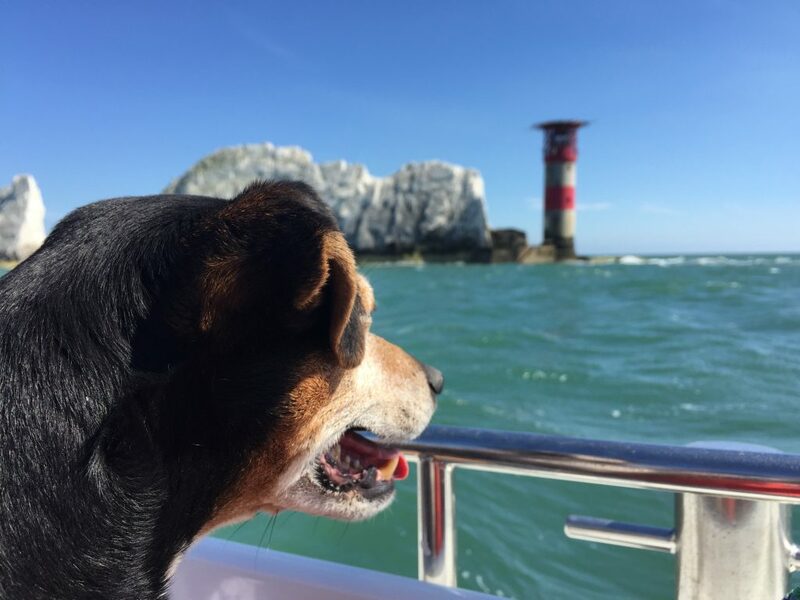 I spent most of my journey clinging onto Baxter for fear he would leap into the ocean, but still managed to enjoy the views of the Needles. The beach where you get the boat from is beautiful too and many people were sunbathing and picnicking there. 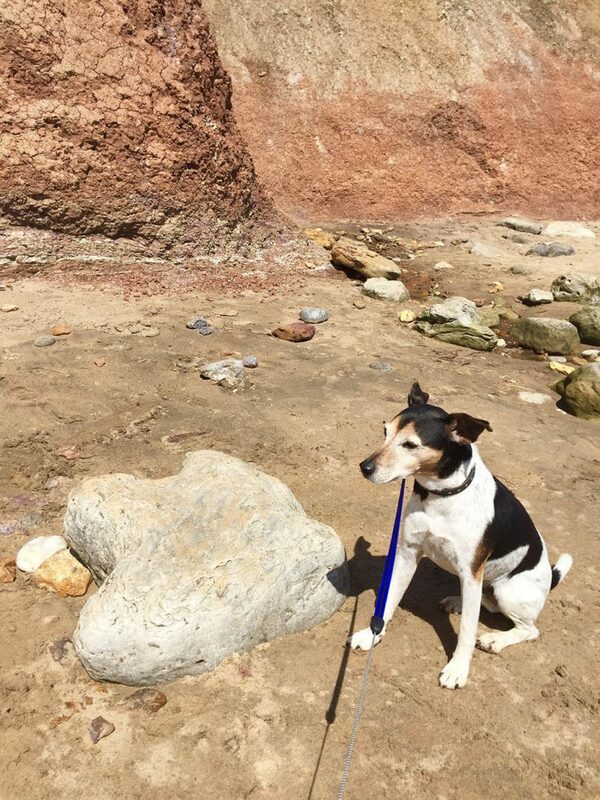 Baxter: See photo below to see me stood next to a real life dinosaur fossil! Yup this beach was pretty cool! You could walk along and find fossils from millions of years ago just there for the taking! Even without the dinosaur bones it was a pretty special place for a walk. Jen: Dinosaur Expeditions give you the unique opportunity to visit the beach with a fossil expert who can help show you the different fossils that can be found on the beach. Three different kinds of dinosaur footprints are said to have been found here and if you’re lucky you can find some fool’s gold just walking along the beach. Alongside everything above we did some rather pretty walks too. 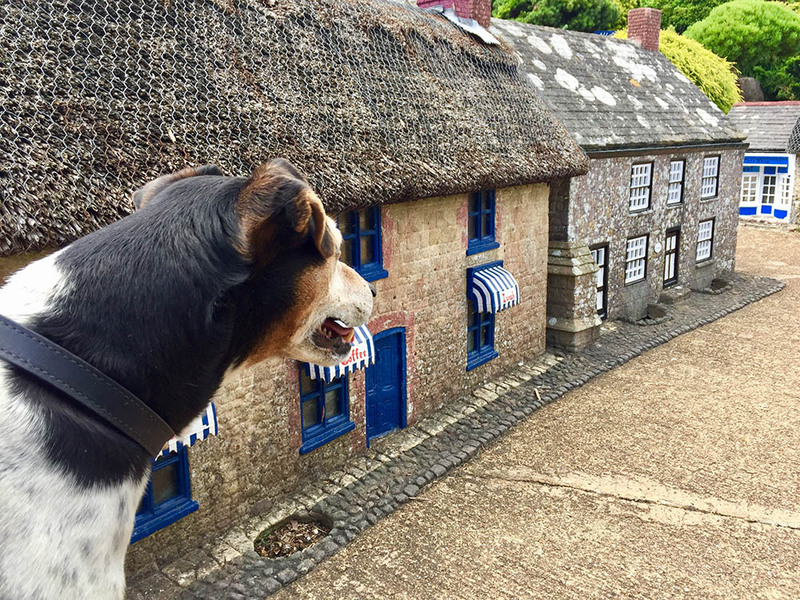 You can pretty much see the sea wherever you are on this tiny island and well I don’t know about you but I do love to be beside the seaside so as a dog the Isle of Woof was perfect for me! Jen said she had a fab time too and can’t wait to return. Who’s joining us? Jen and I were on a press trip with Red Funnel Ferries but everything we tell you above is completely true. We honestly had the best time! Oh my God!! What very cute dogs you have! My favorite one is Plum Pudding. I can just imagine how special this trip was because of the very cute dogs. You can definitely tell how happy those dogs are! Looks like they enjoyed the trips. 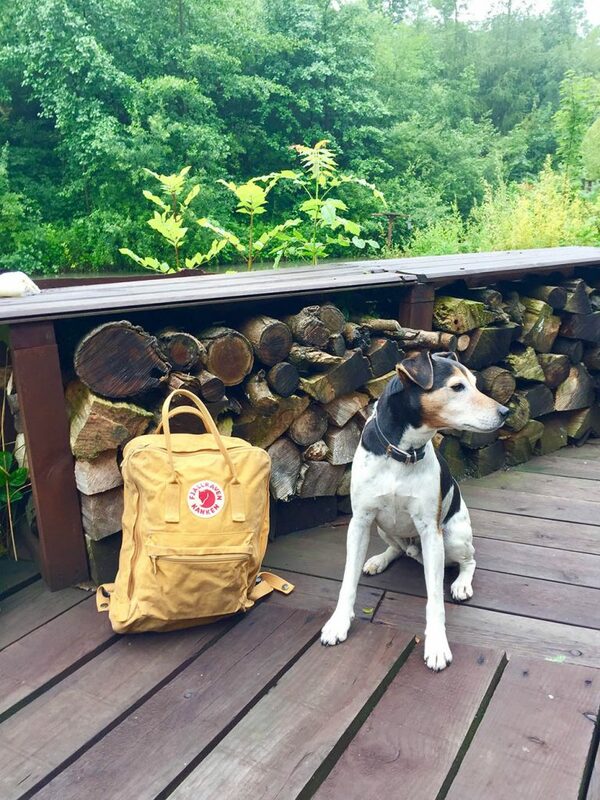 It’s good to see there are many dog-friendly options to visit along with your best friends. Thank you for sharing this with us!